JBL Authentics L8 heeft als beoordeling 4.0 van de 5 door 21. Rated 5 van de 5 door Christer uit Totally blew me away... Got it this afternoon, unboxed it, powered it on, connected it through Bluetooth, started up Spotify on the IPhone 6Plus and... Well.. I've been listening for hours now.. It's like listening to music for the first time, hearing details never heard before, still I've heard the songs tens of times before.. And my god.. It surely plays loud if you don't want anyone else to be able to stay inside... I'm speechless. Astonished. The Best Buy ever. Go get one for yourself. Rated 5 van de 5 door Jay Gibbons uit Absolutely amazing system! I bought this product 4 months ago and have to say, it's the best money I've ever spent. The sound is ridiculous! When I have company, it usually takes my guests less than two minutes before they comment on the amazing clarity and bass. There has been times where it goes in and out while utilizing AirPlay. I've chalked it up to my router. If you're looking for a speaker that can fill a large room - this is it. I live in a flat that has a common area of about 700 square ft. It has absolutely no problem filling that space perfectly - at all volume levels. I will say, it doesn't sound nearly as good when playing music via bluetooth. If you're not going to use this with your wifi, not sure its worth the money - would be missing out on the true potential of the speaker. Craftsmanship of the unit is also pretty stellar. Nice solid/heavy construction. Rated 5 van de 5 door Spoonscott61 uit Outstanding clarity of music This is such a great sounding unit I'am using mostly Apple Air-Play and the details of the music beats my two speaker and sub system. It is like rediscovering my music collection and hearing details In the music I have been missing. 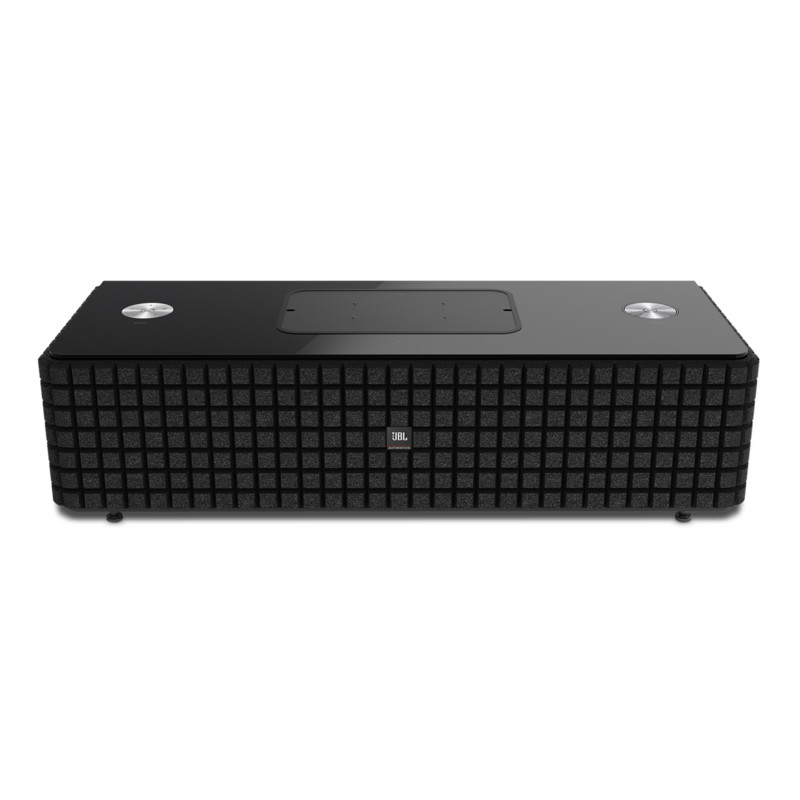 Rated 2 van de 5 door Sui3471 uit Great product for the USA - not so for Europe Sound is fantastic, way better than rivals such as Sony SRS X9, and with the acclaimed connectivity, (spotify connect, direct internet radio etc) it should easily be the product of choice. Unfortunately for us mere mortals in Europe we don't get the same conectivity - so no Spotify connect, no direct internet radio, so it's only good for bluetooth and streaming from a NAS through 3rd party apps. Sorry guys otherwise brilliant product, you just let the Europeans down. Rated 1 van de 5 door EvilAttorney uit Airplay Does not Work! Warning, the Airplay feature for the L8 simply doesn't work. While it is fairly easy to get the L8 to connect to your wifi network, it only shows up as an Airplay device on some apple products/apps. When it does show up, trying to play audio to it results in an error and the L8 will disconnect from the wifi network. I spent hours trying to get this to work properly, testing with an iPad, iPhone, and Mac Air, and just about every different setting on my router (e.g., different wifi security encryption, static IP address, etc.). I was unable to get Airplay audio to the device, no matter what I tried. Bluetooth does work. Extremely disappointing considering how much this unit costs. With regard to the sound quality, the default sound profile has the bass extremely high relative the the mid and treble. 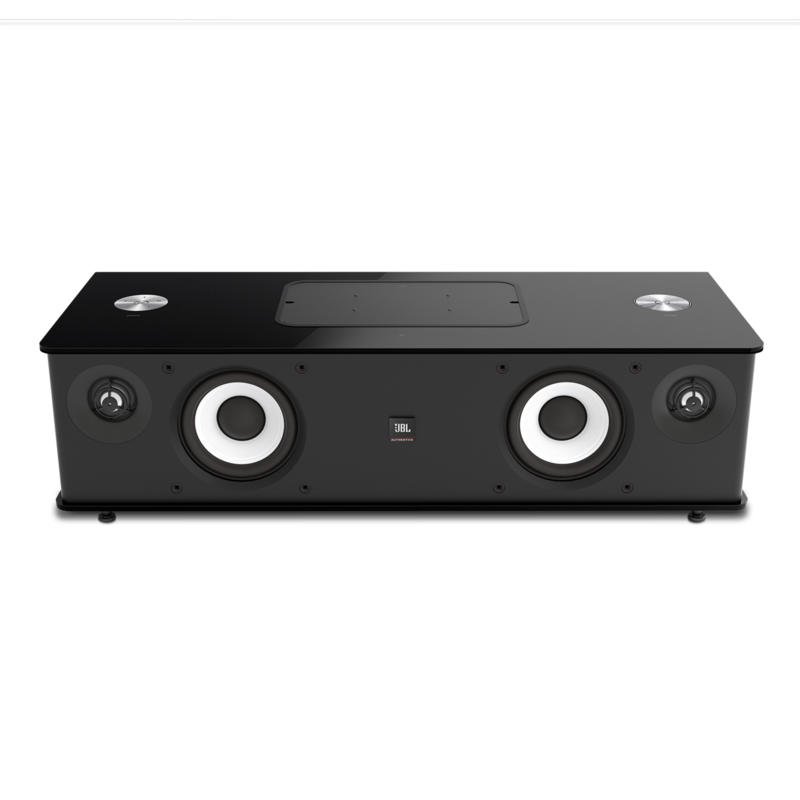 This is one of the most unbalanced set of speakers that I have come across. Luckily, you can adjust the EQ with the JBL app, which makes the sound more reasonably balanced. Rated 4 van de 5 door Flowskilled uit Toller klang aber Bedienung hakt hier und da Ich bin begeistert von dem klang auch wenn ich den JBL Authentics L16 schon zuhause hatte und hier noch etwas mehr Druck bei den Tiefen und Klarheiten bei den Höhen empfunden habe. Was mich jedoch gleichermaßen stört ist die Bedienung, das Gerät geht bspw. Nur sporadisch von alleine in den Standby. Oder es lässt sich nicht per Bluetooth aktivieren... gut hierfür gibt es für mich noch AirPlay, daher vernachlässigbar. Die Lautstärke Regelung ist für mich leider auch zu grob (gefühlte 10 Schritte), grade wenn man zum einschlafen Musik hörst ist es schwierig die richtige Lautstärke zu finden.